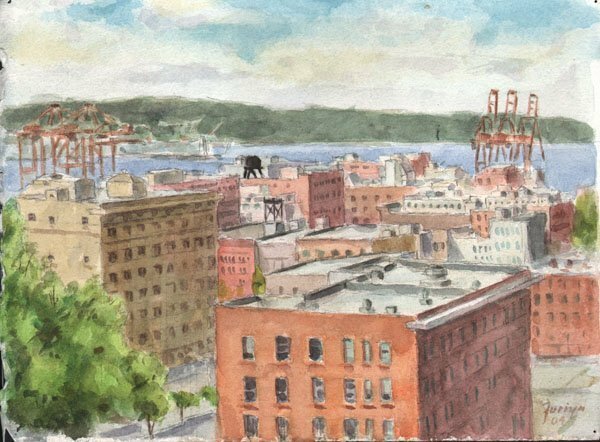 Keven Furiya has been creating art in Seattle for more than 20 years. Furiya is easily immersed in the tapestry of geometric shapes, colors, and textures that surround us in our environment– whether the setting is urban, rural or indoors. Working from life allows Furiya to absorb the essence of the subject matter as well as the contextual elements which initially captured his attention. encourage observers to fill in the rest of the details with their minds, thereby engaging the observer in internal dialogue and establishing a rewarding reciprocity with every composition.